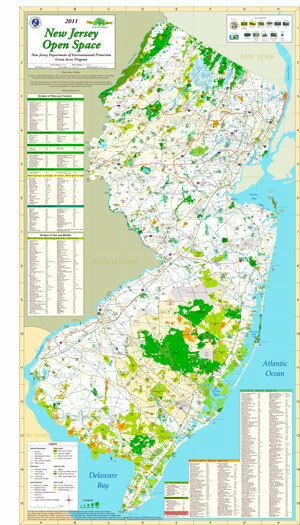 This map depicts preserved federal, state, county and nonprofit open space lands mapped by Green Acres GIS as of 2011. These include lands funded by Green Acres as well as lands preserved in other ways. Municipal parks are not included at this time.